New intensive formula for fight with wrinkles and skin rejuvenation with added high-quality collagen. The unique combination rejuvenates the skin, effectively stimulates cell renewal. 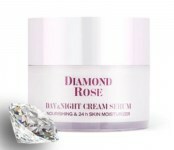 - It provides the necessary moisture, improves elasticity and density, stimulate regeneration and smooths wrinkles. 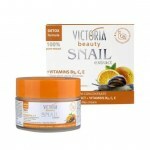 - It penetrates deeply into cells and helps to maintain the level of collagen in the skin and slows the aging process.